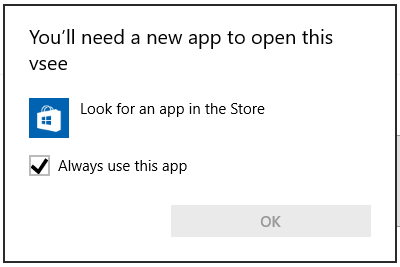 Edge throws this error when VSee is not installed. You'll need to install VSee. This article was last reviewed by our Support team on December 2, 2015.